Mark Zuckerberg faced enormous public backlash this week after he defended Holocaust deniers’ right to disseminate their views on Facebook, but this morning he stepped up to allay Facebook users’ concerns in a big way: Zuckerberg announced that from now on, Facebook will rigorously vet the articles posted on its site to ensure that they align with Facebook’s mission of amassing as much money as possible with little regard for the moral implications of doing so. Wow. It’s great to see a company as powerful and ubiquitous as Facebook take responsibility for the types of articles it’s spreading around the internet. 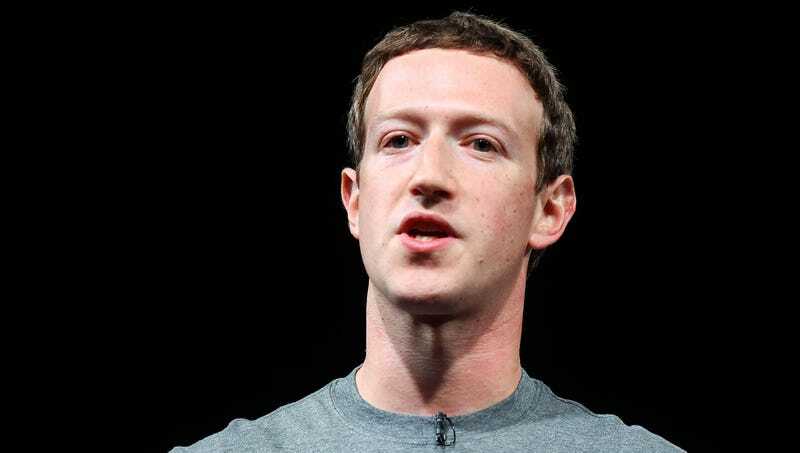 Kudos to Mark Zuckerberg for staying committed to his principles in a time of adversity! Worried About Your Data? Send Us Information About Yourself You’d Like To Keep Private, And We’ll Protect It And Never Sell It!